In this Oct. 20, 2017, file photo, activists with Planned Parenthood demonstrate in support of a pregnant 17-year-old being held in a Texas facility for unaccompanied immigrant children to obtain an abortion, outside of the Department of Health and Human Services in Washington. Days after an immigration judge denied Layidua Salazar’s petition to remain in the United States in 2015 because she was not living with her spouse, she learned at an annual visit to Planned Parenthood that she was pregnant. The possibility that she would not be allowed to stay in the country made her realize "within five minutes" that she couldn’t continue her pregnancy and risk her family being separated at some point, she said. Could You Get a Visa Under Trump's Immigration Overhaul? "I can’t do both. Can’t be in the middle of deportation proceedings and be pregnant," said Salazar, who is now a storyteller with We Testify, a program of the National Network of Abortion Funds. The organization works to decrease barriers, including financial, to abortion. 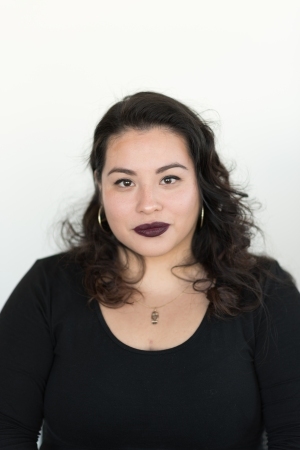 Because she had worked with reproductive justice organizations, she knew that her Planned Parenthood clinic in California's Bay Area did not have to disclose that she was undocumented. She had an abortion two days later. Given all that was going on, she said, her "abortion experience was relatively simple.” But, she and other advocates noted, this is not the case for many undocumented women in the U.S.
"Reproductive healthcare for immigrant women is very much a patchwork system," Jessica González-Rojas, executive director at the National Latina Institute for Reproductive Health, told NBC. "It often depends on where you live and the access that you have to reach certain communities." The undocumented community "has lived in a major state of panic since about 2008," Salazar said. After the record number of deportations at the border under President Barack Obama, "I remember when the [Trump] election happened many people in my community saying it can't possibly get worse," Salazar said. "And, low and behold, it actually has. It has gotten horrible." Layidua Salazar, a storyteller with We Testify, a program that works to decrease barriers to abortion. Efforts across the country to restrict access to reproductive healthcare and the Trump administration's anti-immigrant policies have converged to impede undocumented women’s reproductive rights including their decision to have a child, and their right not to, legal and other advocates for immigrants as well as several undocumented women who spoke to NBC say. Access to reproductive health care has been limited by a lack of health insurance, legal obstacles, difficulties in traveling and the fear of deportation and the family separation policies under President Donald Trump. Since Roe v. Wade was decided by the U.S. Supreme Court in 1973, all women have had a constitutional right to an abortion. "There's no exception for anyone, including based on their immigration status," Brigitte Amiri, deputy director of the ACLU Reproductive Freedom Project, told NBC. But last year, the federal Department of Health and Human Services tried to prevent a 17-year-old unaccompanied Mexican immigrant from ending her pregnancy, by refusing to allow her to leave the detention facility in Brownsville, Texas. They instead brought her to a crisis pregnancy center, a type of non-profit that counsels women against abortions. Such facilities have been accused of disseminating false information. As of March 2017, shelters receiving federal funding cannot take "any action that facilitates" abortion access. Brigitte Amiri, deputy director of the ACLU Reproductive Freedom Project. "What the Trump administration did to Jane Doe was unprecedented,” said Amiri, a lead lawyer on Jane’s case, who knew of no other case where the government held a woman hostage to prevent her from getting an abortion. “It is so extreme and so egregious and a symptom of a larger problem in the Trump administration and its hostility to access and contraception." The Supreme Court vacated a court of appeals decision that had allowed her to get the abortion last June; her case will not be precedent for others. Doe is not the only young undocumented woman to be obstructed from obtaining an abortion; the ACLU has filed a class action lawsuit with other women affected by similar circumstances. But the woman continued her research, and was able to find a clinic in Dallas. That clinic referred her to a sister one in a nearby state. She’d have to fly out a few days later and it would cost her over $10,000. "I’m like, okay, I don’t even have $50," she recalled. In the end, with outside support, she was able to get the abortion in February 2016. She feared flying because her student visa is expired but thought getting an abortion was worth the risk. "That’s something that, at least for me, makes me nervous, because, as you can see on the news, they ask for documents," she said. NBC is not identifying her over her concerns. Texas, one of the six states that according to Pew Research are home to 58 percent of undocumented immigrants in the U.S., spotlights the difficulties undocumented women face in obtaining reproductive healthcare access. Texas’ reproductive healthcare clinics in particular have been targeted by state policies. In 2013, Texas passed House Bill 2, imposing new restrictions on abortion clinics, and banned abortions beyond 20 weeks, forcing many clinics to shut down. The Supreme Court overturned the restrictions three years later as placing an undue burden women seeking abortions, though many clinics struggle to reopen. González-Rojas said the cost of transportation, within and outside of Texas, could be a "de facto ban on abortion for women" and a "matter of reproductive justice." For instance, in many colonias, unincorporated housing communities composed primarily of Latino immigrants near the Texas border, road infrastructure is "poor" and there is a lack of adequate public transportation. Then in May 2017, Texas Senate Bill 4 outlawed sanctuary cities. Also called the "show me your papers law," it requires that local governments comply with federal immigration "detainers." The law created a "wave of panic among the Latinx communities in the state of Texas," said Nancy Cárdenas Peña, associate director for State Policy and Advocacy at the National Latina Institute for Reproductive Health (NLIH). She said it also "made conditions a lot harder." "We were seeing, even during the implementation and during the passage of SB4, border patrol and ICE … started making their way towards routes that our activists usually took to get to their healthcare appointments," she said. The undocumented Texas woman told NBC she wanted to speak out about her experience to show others like her that abortions are possible. She mentioned a woman whom she met at the abortion clinic also from her home country, who was surprised there was funding that could help. "You have the opportunity even if you’re not from this country," she said. Alejandra Pablos, a reproductive and immigrants rights activist in Arizona, had her fourth abortion in March 2017, at 33. It was her first while she was fighting deportation and came at a time when she wanted to start considering having a baby. She had a "great job," and thought of her strong community. "This was what could have been a beautiful moment for me, but I quickly remembered that I am still facing deportation," said Pablos, who spoke with NBC this fall. "How am I supposed to take care of another human being?" she asked. Alejandra Pablos, a reproductive and immigrants rights activist. Pablos was detained by ICE in March. "It is not only my decision anymore," she said. "I don’t have the privilege to say, 'my choice, my body' when my body basically belongs to ICE." This December, she appeared in court to apply for political asylum. Her petition was denied and her green card was revoked: The judge has ordered her deportation. Pablos grew up in California and her parents had citizenship, but she didn’t petition for her legal permanent residency until she was 16. As a legal resident, in 2011, she was arrested in Arizona for possession of drug paraphernalia and a DUI and detained for two years in Eloy Detention Center, a private prison. Because the arrest came within the first five years of her legal permanent residency, she lost the status. A year after she had her abortion, Pablos was detained again, following an arrest at a protest outside the Department of Homeland Security in Virginia, where she was working at the time. She was released—those charges were dropped— but at an ICE check-in soon after, she was taken back to Eloy for two more months. Pablos lost her work permit and her job at the National Latina Institute for Reproductive Health. Just as barriers to accessing care impede undocumented women’s ability to raise children, so can other federal policies. The Trump administration's "zero tolerance" position towards immigration on the U.S.-Mexico border led to the widely condemned the family separation policy. Children separated from parents facing prosecution were held in "tender age" detention shelters. The program was ended by an executive order in June but in late November, the Texas Tribune reported the number of children held in private shelters had reached a high: 5,620 children as of Nov. 15. This is a "major reproductive justice issue," Salazar said. The "fear factor," according to González-Rojas, means many undocumented women "are forgoing care completely." A study released Nov. 1 from the National Latina Institute for Reproductive Health found that 1 in 4 of Latino voters “have a close family member or friend who has put off getting health care because of fear around immigration issues.” One in 5 reported the same about reproductive health care. These numbers are for voters; The numbers are likely higher for undocumented immigrants, González-Rojas said. Planned Parenthood NYC’s Promotores de Salud team — certified Spanish language medical interpreters who provide information for sexual and reproductive healthcare to Latinas — has "noticed that fewer community members were making appointments during outreach sessions," Larissa Vasquez, associate director of adult and professional programs at PPNYC, wrote in an email to NBC. The women were distrustful of accessing care in traditional places like clinics and community-based organizations, she added. Through their "Nuestro Texas" report from 2015, a partnership between the National Latina Institute for Reproductive Health and the Center for Reproductive Justice, González-Rojas "heard stories of women who are afraid to take their children to school, are afraid to leave the house," She cited "constant militarization in that community." "We have heard stories of ICE vehicles parked in clinic parking lots, community health centers." González-Rojas said clinic staff told her. Salazar, the We Testify storyteller, said she's experienced border patrol presence near Planned Parenthood "regularly," happening around border areas in California. "It means that people who are undocumented don’t even want to approach [Planned Parenthood] obviously," she told NBC. For many undocumented women, who lack medical insurance—undocumented immigrants cannot access the Affordable Care Act—clinics that offer free or affordable care can be crucial in obtaining healthcare. 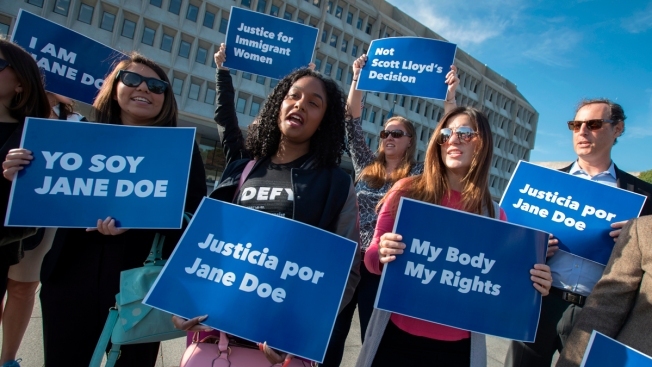 But organizations meant to uphold their reproductive rights may not always consider their needs. In 2017, the Planned Parenthood Great Memphis Region opened 400 feet away from an ICE office. Planned Parenthood told Rewire they were under the impression ICE would move offices. In their statement, PPGMR said: "Our highest priority is our patients, and we will be doing all we can to ensure that they can seek care safely without fear." González-Rojas called it a "you are not welcome here" sign for immigrants from around the world. Adding to fears is Trump’s proposed "public charge" rule, which would would revise the 1999 green card rules by making it more difficult for immigrants who use public assistance—health insurance, like Medicaid, or food stamps, for instance—to obtain a green card. The rule hasn’t officially taken hold yet but there are reports that it is being quietly enforced already and many undocumented immigrants have already felt the effects. González-Rojas said media coverage, especially in Spanish, has caused some undocumented immigrants to already withdraw from care. "There’s a real chilling effect that these proposed rules are creating" González-Rojas observes, "and the visible climate of fear." This public charge law is being written and sought to be implemented in a way that, Jiménez said, "affects our ability to raise our children, to make decisions about reproduction." The priorities of the Texas branch of the NLIH are always changing, Cárdenas Peña said. "This administration is definitely trying to exhaust all of the activists by making us be in this fight or flight mode 24/7," she said. 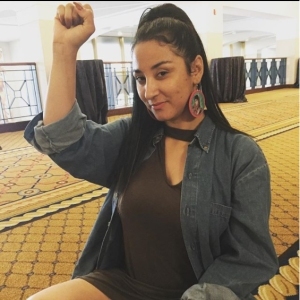 When ICE detained Eva Chavez, an immigration and reproductive rights activist who worked with NLIH's Texas Latina Advocacy Network last February, the group was met with an increase in demand for their services. Her case is ongoing. "I looked at the camera," Cárdenas Peña said, "and told anyone who was watching, “you do not have to do this alone. There is a community behind you and we will be happy to support you. And goddammit, the people listened. My phone started blowing up with calls." After her green card was revoked this December, Pablos, the Arizona-based reproductive and immigrants rights activist facing deportation, told The Washington Post, "La Lucha Sigue" of her continuing struggle. She plans to appeal by seeking a governor's pardon. "The reason why I’m doing this and I’m not going back in the shadows, and I’m going to fight this deportation is that I want to be able to make that choice, if I want to start a family or not," she said before her trial.